Snow- and ice-covered roads require speed adjustments. Slow down and increase your following distance. 1. Make sure that you are able to see and be seen. Clean all the snow and ice off of your windshield, other windows, outside mirrors, lights, and reflectors. Make sure your vehicle is equipped with good wiper blades and that wiper arms are exerting enough pressure on the blades to ensure a clean sweep. 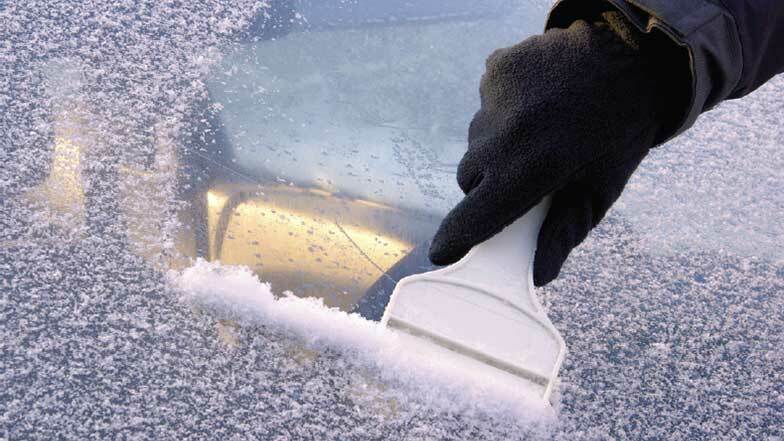 If moisture or ice builds up on the inside or outside of your windshield, stop and clean it off. 2. Tires with good, deep treads are essential for good cornering and handling on slippery roads. Check the air pressure frequently to maintain the manufacturer’s recommended pressure. 3. Drive at a speed that is safe for weather conditions. Snow- and ice-covered roads require speed adjustments—slow down. 4. Stretch your “following” distance. Knowing that winter surfaces increase stopping distance three to 12 times, the smart driver increases his normal dry-road following distance. Heavy trucks require a longer stopping distance on slippery roads than passenger cars. All vehicles are particularly sensitive to overpowering, oversteering, and overbraking on curves. Unseen hazards around the bend may require an evasive action, so turn your steering wheel slowly and smoothly, keep a constant speed in the turn, and tap your brakes carefully if it is necessary to slow down or stop. 6. Know whether your vehicle has an antilock brake system, and learn how to use it properly. Antilock brake systems prevent your wheels from locking up during braking. If you have antilock brakes, apply firm, continuous pressure to the brake pedal. If you do not have antilock brakes, you may need to pump your brakes if you feel your wheels starting to lock up, according to the National Highway Traffic Safety Administration’s Focus on safety: Winter driving tips. Never drive with parking lights instead of headlights in winter’s early dusk and poor visibility. Parking lights can cause an oncoming driver to think you are farther away than you are. Keep headlights clean; dirty ones can greatly reduce your own seeing distance at night. outside mirrors, lights, and reflectors. 2. Stay with your vehicle. Make sure the exhaust pipe is clear, and only run the vehicle as much as necessary. 3. Place a bright marker on the antenna. For additional information and emergency preparedness resources, call 866-262-0540 or visit www.cna.com/prepwise. 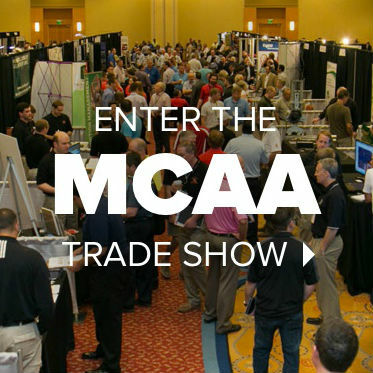 MCAA thanks CNA for being a benefactor of MCAA19, sponsoring the final program, and cosponsoring the dessert party. The information, examples, and suggestions presented in this material have been developed from sources believed to be reliable, but they should not be construed as legal or other professional advice. CNA accepts no responsibility for the accuracy or completeness of this material and recommends the consultation with competent legal counsel and/or other professional advisors before applying this material in any particular factual situations.